A delegation of the Assam state committee of Sarv Hindustani Parishad comprising its state president Raj Gupta, general secretary Ajay Kumar Prasad and members Gopal Prasad,Bijay Shankar Chauhan and Raj Kishore Bhagat met National Register Of Citizens (NRC) state co-ordinator Prateek Hajela on August 14 last, a press communique stated. The SHP team submitted a memorandum to NRC state co-ordinator. 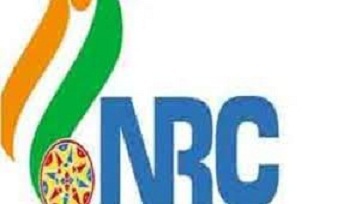 In the memorandum it has been mentioned that the non-inclusion of the names of many Hindi speaking people in the final draft of NRC published on July 30 has created panic among the Hindi community. SHP in the memorandum also stated that the genuine Indians should not be left out of the final NRC. They also mentioned that the documents of different States which have been submitted by many Hindi speaking people should be quickly verified and proper justice should be given to original Indian citizens. NRC state coordinator Prateek Hajela heard the delegation and assured that the names of each and every genuine Indian will be included in the final NRC. On the other hand, the SHP team also met BJP state spokeperson Pramod Swami and submitted another memorandum to him. They asked him to raise this issue of Hindi speaking people to the State Government.